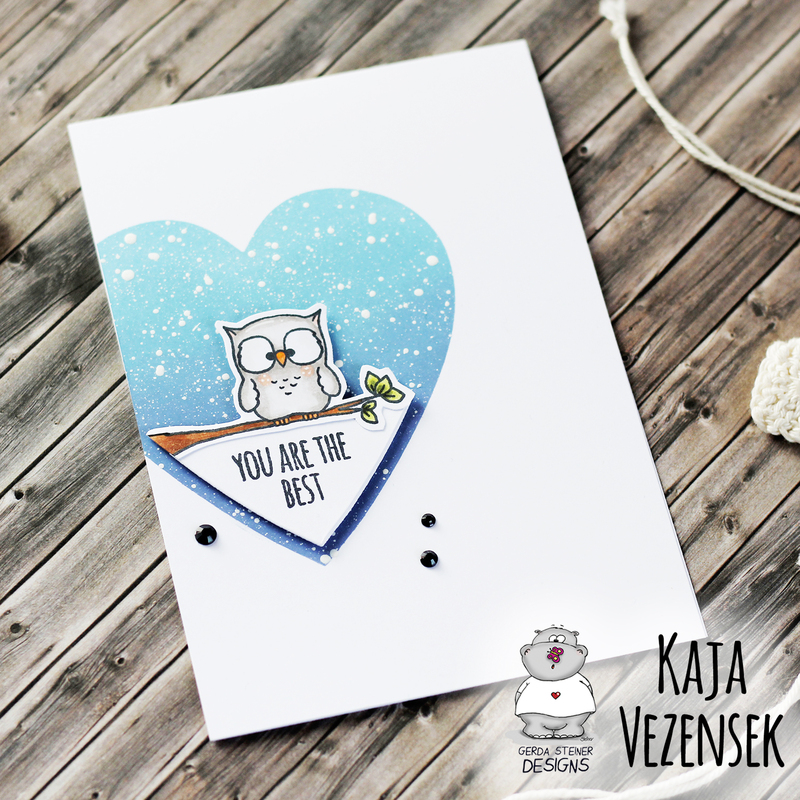 It's Kaja from Kajcyika crafts and today I have prepared a cute card for you! I decided to go with a clean and simple look, so I started out by inkblending a heart towards the left edge of the card. I used distress oxides since they are really reach in color. Next, I stamped out the cute owl from the Foxes stamp set and color it in using alcohol markers. I used gray for the owl since I wanted to make it a snowy owl. Then, I die cut a heart in white and cut the top part off. I stamped the sentiment that reads 'you are the best' and put the owl image at the top of white piece. I popped the owl up using foam tape and then I added some black crystals to finish off the card.